This letter follows my letter to you of November 14, 2014—which you never answered—asking you to provide questions and allegations. You have a responsibility to your viewing audience to uphold the journalistic standards of the profession. “Academy Award-winning documentarian” assumes you take seriously your obligation to your viewing audience to exhaustively seek the truth and to refrain from cutting corners. Such an artistic award doesn’t give you a pass on journalistic responsibility, ethics and honesty. I do not seek special treatment for the Church of Scientology. Rather, I only ask that the same standards applied to any other group be given to the Church. Provide the questions and allegations and we will meet. We will give you documentary evidence regarding your sources that discredits their information. You have been relying exclusively for two years on former members to talk about my Church. 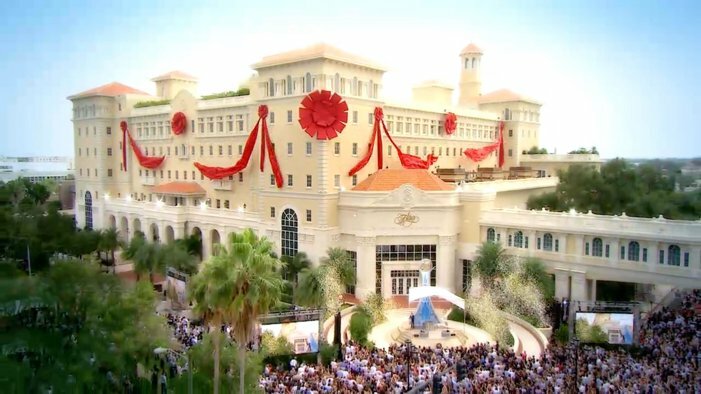 Relying only on a single point of view—in this case, anti-Scientologists, some of whom have been out of the Church for as long as 30 years—makes your film no more accurate than Rolling Stone’s University of Virginia debacle. A documentary is defined as a film that is factually accurate and contains no fictional elements. HBO’s attorneys described what you are doing as the point of view of you and your sources. But those bigoted and ignorant points of view are just opinions unsupported by records, documents, court rulings and facts. So by ignoring the evidence, what you are doing is propaganda—i.e., information, ideas or rumors deliberately spread widely to harm a person or institution. This whole concocted story started with Mike Rinder and Marty Rathbun, discredited sources for you and Lawrence Wright. Wright’s book is a compendium of lies threaded together with the psychotic ramblings of a bunch of obsessed anti-Scientologists kicked out of the Church years ago. The book itself is nothing less than an example of corrupt, unethical journalism. Compared to Wright’s book, Rolling Stone’s debacle is Pulitzer-worthy. Most important, since the publication of Wright’s diatribe, additional court rulings and judicial statements have been issued on your sources’ credibility. Courts rejecting the allegations of these people and making them pay court costs. Documented proof that the sources in Lawrence Wright’s book are absolute liars. How can you say with a straight face that you are doing a documentary based on Wright’s book while ignoring facts and documents? It contains hundreds of blatant lies. Further, they are big lies. By way of example, one of Wright’s primary sources was subjected to a judicial ruling that you can’t believe a thing he says and that he is entirely not credible. Wright never revealed to us his source and therefore he never received that information. But it’s certainly valid now and goes to the very underpinnings of his book. Wright refers to an unnamed attorney. He doesn’t name the individual because the man was suspended from the bar over his fictitious and frivolous allegations about the Church. Get it: Not suspended because of misconduct as a lawyer, but misconduct as a lawyer in actions he took harassing the Church of Scientology, including ones mentioned in Wright’s book. And that’s just a short listing. We’re not going to guess at each of the sources you are using. Regardless, if you claim to not be using all of the sources in Wright’s book (because they are so heavily discredited), it means that you are even more dishonest than we already think. How can you base a documentary on a book where virtually all of the sources of those allegations can not only be shown to simply have an ‘axe to grind,’ but to be complete liars? Did your marching orders from HBO include overlooking Lawrence Wright’s blatant falsehoods in his book, his lack of honesty, his absent journalistic integrity and his violations of basic journalistic ethics? How can you make a film about a book exposed as a fraud because it included so many discredited sources? Now do you want to see the documents that prove this? Do you want to see the judicial rulings that prove this? Or do you want to ignore them entirely? Make no mistake, I definitely want to push you into a corner. I have repeatedly told you that I will answer allegations and provide you documentary proof they are false. I absolutely intend on having you on record as being offered these documents and either ignoring them or having seen them. And if, after having seen them, you ignore these materials, then I will also have a record of that. I reiterate again: meet with us and we will present you the information.